You ask the guy at the deli counter to slice your roast beef thin. You choose the car wash with undercoating but not the polish. Point is, the world is all about customization these days, so why continue to buy the same golf spikes as everyone else? The MyJoys program from FootJoy offers 20 different shoes (16 men's, four women's) that can be produced in your preference of leather and color, with logos and personalized stitching also part of the process. As if that weren't enough, every NFL and MLB team is available, along with many colleges. 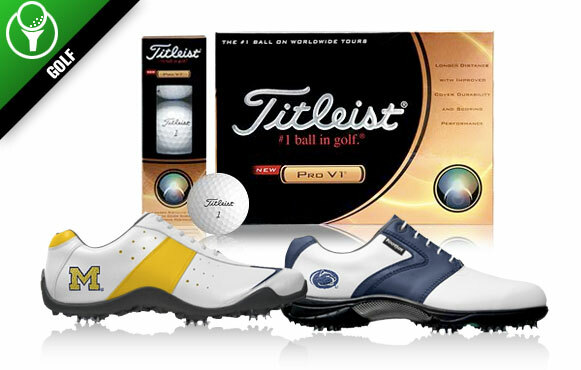 Meanwhile, customers may create a unique message on Titleist Pro V1s and the company's other golf balls with up to three lines of text and four colors. Through the end of the year, all customization charges will be waived.